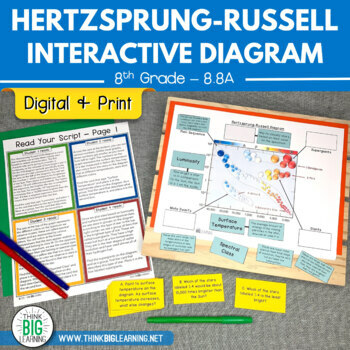 Looking for an engaging way to review the Hertzsprung-Russell Diagram with your students? 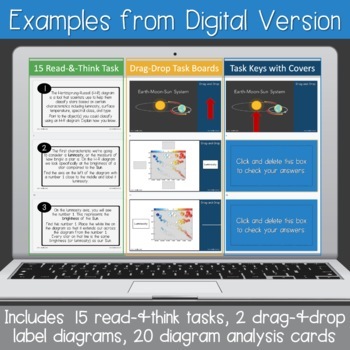 This product includes activities to help do just that! Student groups can read through the guided script which allows them to label the diagram with confidence and better understand the diagram's components. Then there are thinking cards that push students to further analyze the diagram and engage in conversation about the content. 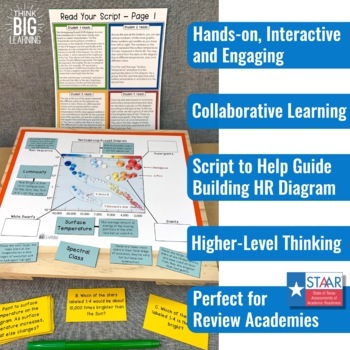 This is a quick, easy review of HR Diagrams from TEKS 8.8A, that gives students ownership of the content necessary to be successful on STAAR.